Why the need for a swimming pool controller? The swimming pool (see banner) is located on a property that is not connected to the main grid. Electricity is generated through a hydro turbine and solar panels. Excess power is stored in a 48VDC battery bank. The hydro generator generates around 800 Watts continuously in winter and 300 in summer as long as there is enough water. Because of the limited amount of electricity available the swimming pool system (around 350 Watts) can't run 24/7. The water in the pool can't be heated with electric heaters for the very same reason. Therefor we rely on a solar heating. Water runs through black matts which warms up in the sun before going back into the pool. Water is not allowed to go through if it will result in cooling down the pool when it is not wanted. For example at night or on a cold cloudy day. 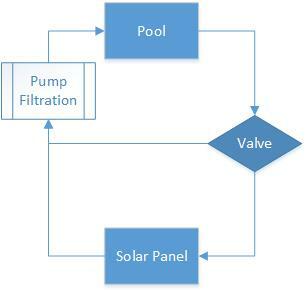 The basic functionality consist out of comparing two temperatures and determine if the valve that lets water through the solar panels should be open or closed. 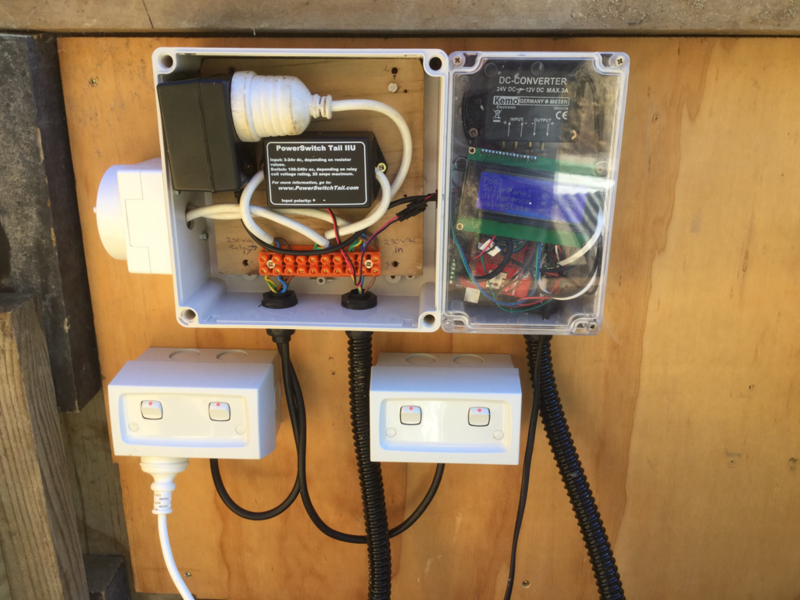 Currently the pump is controlled through a relay by the Arduino and through a relay on the Inverter. The second relay prevents the pump from being enabled when the batteries are low. * Symbols might not be correct and are used to depict other components. The code is available on github, click here. If the difference in temperature between the solar panel and the swimming pool is bigger than 5 °C open the valve. If the difference in temperature between the solar panel and the swimming pool is smaller than 2 °C close the valve. By creating a gap between the setpoints we eliminate the problem that occurs if the temperature slightly fluctuates over and under a single setpoint. With a single setpoint this fluctuation would result in opening and closes the valve multiple times in a short amount of time. 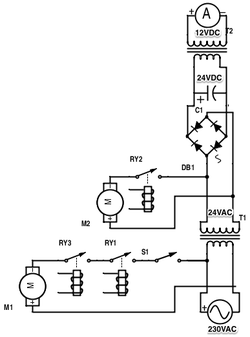 This would drastically reduce the lifespan of the mechanical relays. Why all those extra sensor readings in the code? Temperature of solar panels is higher then that of the swimming pool.